Join other Yay Bikes! members and followers in a silent, respectful demonstration of support for the adoption of the proposed “Safe Streets Ordinance” to protect bicyclists on Columbus streets. How? 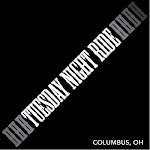 Attend this meeting of Columbus City Council in Council Chambers wearing your bike helmet. Join other Yay Bikes! members and followers in a silent, respectful demonstration of support encouraging adoption of the proposed “Safe Streets Ordinance” to protect bicyclists on Columbus streets. How? Attend this hearing in Council Chambers wearing your bike helmet. Or better yet, fill out a speaker and testify in favor of this legislation. Columbus City Councilmember Michelle M. Mills will hold an Education Committee hearing on Tuesday, June 17th, at 5pm in Council chambers. The hearing will introduce the Education Department, including director Rhonda Johnson, and describe its work. When the business of the Education Committee has concluded, Councilmember Mills will host a public hearing on a proposed safe streets ordinance that would introduce new measures to protect bicyclists. Speaker slips for both hearings will be accepted on the 17th and the regular rules of speaking before Council will apply. The hearings will be broadcast live on CTV, Columbus’ government television channel on local cable systems.